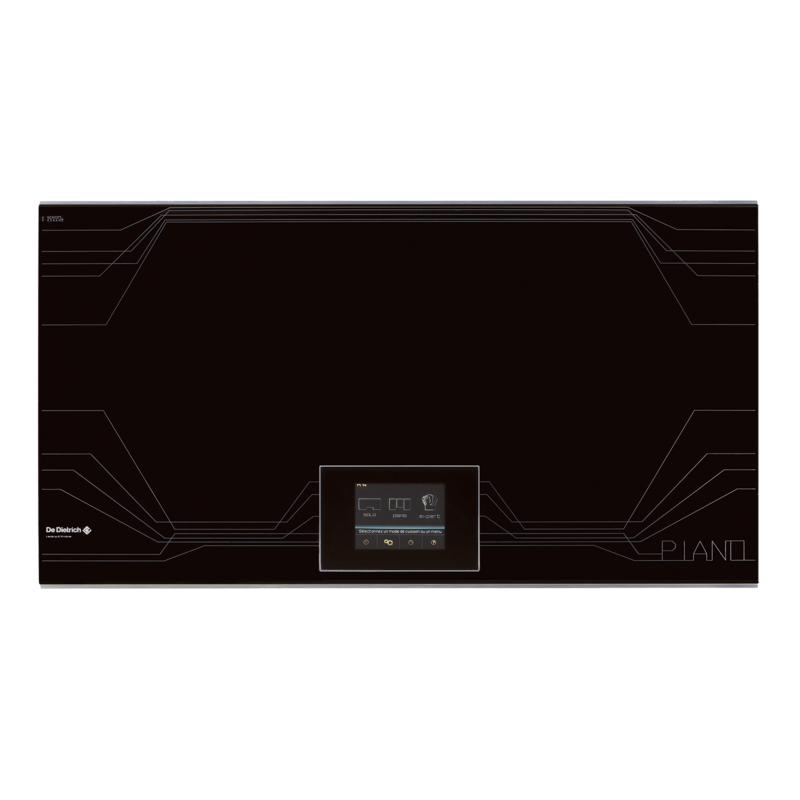 Let your fingers dance across the Tactilium screen and experience total freedom while cooking on its 90 cm glass surface with Solo, Piano and Expert modes. This intelligent induction hob automatically recognises the pans placed on it and transfers related settings to their new location as soon as you move them. This unique and expansive cooking area, 2,600cm2 in size and totally zoneless, allows you to have up to fi ve dishes on the hob at the same time, whatever their shape and size, and to place them wherever you like on its surface. From now on, how you have it is up to you. The cooking area divides into three separate zones. You can assign a diff erent temperature to each depending on what type of cooking process you would like to use - for example, you can keep something warm in one zone, cook something in the second, and boil in the third. Its touch-sensitive interface contains 250,000 colours, providing brightness and contrast which make it easy to read the clear function descriptions provided. Totally interactive, the hob displays the position of pans on the cooking area at all times, as well as the level of power that can be applied with a a touch of finger.